My new single, “Coney Island,” is the first creation from my upcoming EP. “Coney Island” is an original I wrote with my good friend, Alex St. Dennis. This song is so unique and special because it shows off a new sound I’ve been developing for myself. “Coney Island” is part of the electronic pop genre, but still includes many retro elements. Many instruments were used to create this song, such as the dulcimer, banjo, mandolin, and accordion, to just name a few. It ended up being a very fun, experimental project, that I can’t wait for you to hear! “Coney Island” is the perfect single to set the tone for the new EP, because it represents the fine tuned sound I’ve wanted to create and represent me as an artist. I hope you enjoy the jazzy flare, the new age electronic pop, and elements from the past, the creates my new song, “Coney Island.” I want to give many thanks to the very talented Matteo Guastamacchio, who owns Teo Multi Media. He not only produced the song and help create this unique sound, but also mixed and mastered the single. Additionally, he created the single cover design, as well as the promotion videos for the single. I couldn’t have done this without you, thank you. I’m excited to announce the release of my latest, “Not Our Time,” an original I wrote with Katie Wynn, a Nashville area songwriter. The song captures the relatable and real story of how some relationships can sadly come to an end just because the timing is not right. It doesn’t mean there isn’t love, or that the relationship isn’t good, it just has to do with the unique directions in the lives of two people. Whether that means being in two different places across the country, or simply being at different places in life, it’s always difficult to admit that the relationship isn’t working. It’s a sad, but at the same time self-love story, where sometimes two people are better off going separate ways. ​​I want to thank Shawn Gough for helping me bring this song to life. He put his amazing talents of producing and mixing to work on this song. I also want to thank Jonathan Joel Duncan and Chris Perdue for the beautiful string arrangements. I hope this song brings a sense of contentment and growth to all my listeners, as it did for me. Please share, download and buy the song if you love it! Join us this week as we celebrate our 8th year anniversary and welcome Vintage Pop music singer songwriter, Liv Margaret. Liv is an American born singer songwriter with a unique ability to capture the attention of every generation who hears her soulful sound. Writing since the age of 12, her music has blossomed into a scrapbook of personal experiences which create melodic memories connecting all who listen. 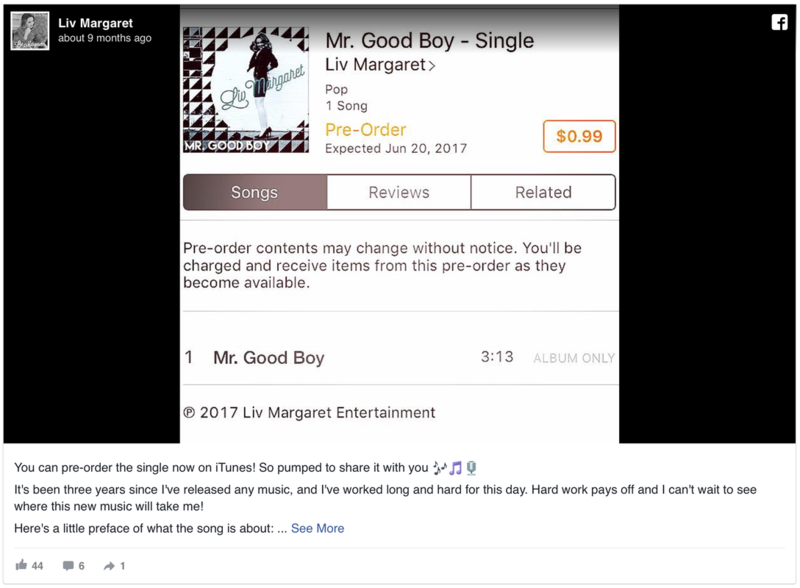 Fresh out of the famous Ocean Way studios in Nashville, Mr. Good Boy is the first single in a compilation of new music being released by Liv Margaret. She has grown artistically both as a songwriter and producer. Liv has managed to capture her vintage sound with these catchy melodies immediately causing the listener to be drawn to an era of simplicity with toe tapping grooves. Liv is excited to share her new creations and looks forward to performing them publicly in the future! Liv is currently residing in Nashville where she continues to work on her craft performing live shows and writing music. Liv also enjoys performing various benefits for veterans and donating a portion of her earnings to several different veteran groups. We will talk to Liv about her upcoming schedule, get a behind the scenes look at her music, feature her latest songs, and ask her to share her message for the troops. ​​Singer-songwriter Liv Margaret releases the jazz influenced track Two To Tango. The latest track follows the previous singles Summer Days and Mr. Good Boy. ​Inspired by Patsy Cline, Colbie Caillat, and Adele, she’s quickly becoming known for her signature vintage pop sound. 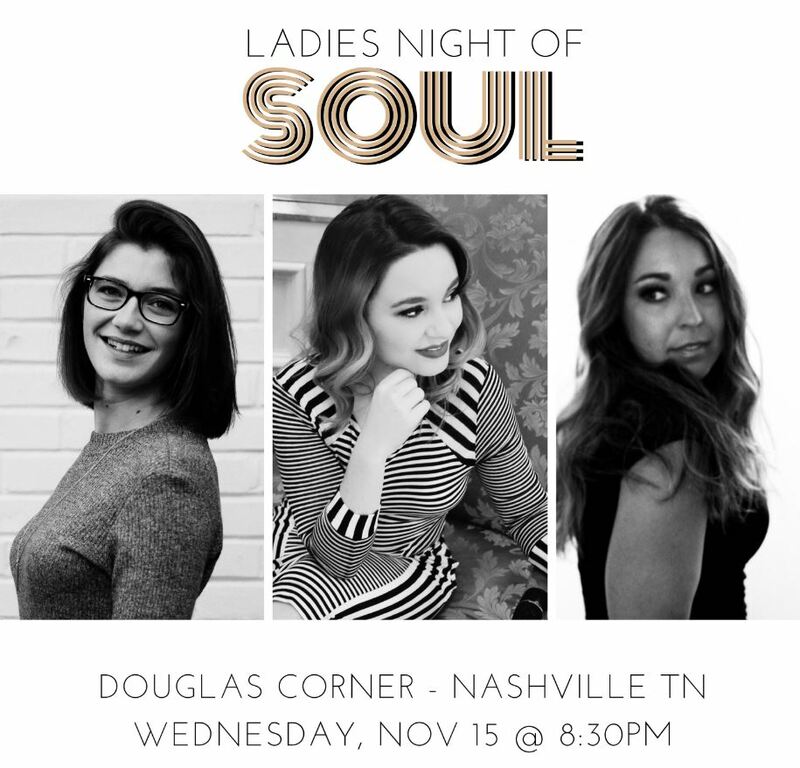 Liv who currently resides in Nashville can be found performing in various venues. Happy to announce that my single, Mr. Good Boy, will be released June 20th! You can pre-order the single now on iTunes and Amazon. So pumped to share it with you! It's been three years since I've released any music, and I've worked long and hard for this day. Hard work pays off and I can't wait to see where this new music will take me! ​Opening up with the sheer optimism of “Spinning” the song is visceral. Hand claps, a stomping rhythm, and an infectious hook, this is the kind of song designed to hook itself into the mind. And it is quite catchy indeed. The song’s chorus sounds like a smile. Many different pieces work to make this a pure sense of happiness. By far the highlight of the collection it is full of radiant contentment. From there Liv Margaret slows things down a bit with the contemplative Sunday afternoon vibes of “I Won’t”. Continuing down this relaxed groove is the positive energy of “Come”. From there Liv Margaret slows things down a bit with the contemplative Sunday afternoon vibes of “I Won’t”. Continuing down this relaxed groove is the positive energy of “Come”. Ending things off on a solid note is the tender piano work of “Gone”. Rather tragic in a way it moves in a different direction from the more active pieces that preceded it. Minimal in tone it takes a while to build itself up into a chamber pop piece. “Spinning” is a beautiful collection that reflects on the humanity condition in the most sincere way possible. "...her music has blossomed into a scrapbook of personal experiences which create melodic memories connecting all who listen." Over a quarter million streams (339,090 as of Oct. 29th, 2016 to be exact) and 32,338 downloads across Europe and Asia! Spinning will be featured in the Independent French Film "De l'autre cote du mur"
Summer Fest 2016: part of Summeriest in Milwaukee, WI, performing with fellow artist, Ciara Rae on the US Cellular stage, opening for Jana Kramer. .. had the honor of singing the national anthem for the Navy Seal benefit at the Borgata Casino in Atlantic City. All proceeds to enter the Bone Frog challenge went to wounded Navy Seals and their families. WTSA 96.7 FM adds Liv Margaret to song rotation! If you missed Liv’s live radio interview for “Soldiers Speak Radio” you can catch this podcast right here!